Use this tip to keep important tools in one spot. Strawberry jars are more than just pretty planters. Use one to organize your potting bench! 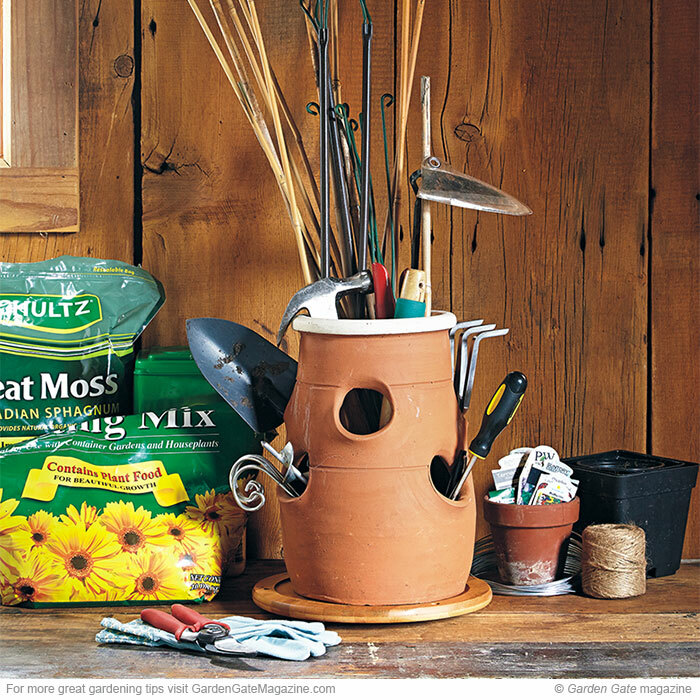 The planting pockets around the container help keep the items you reach for often, such as a trowel, metal plant label holders, hand pruners or gloves, upright and all in one spot. Add a lazy Susan under the jar, just like you see at left, and what you’re looking for will always be easy to find with a quick spin. Get high impact in your spring garden! Check out 3 spring blooms that can transform any shady spot. This refreshing combo takes still-cool spring temps and easily transitions to hotter summer days.